Today’s car is rapidly mutating from a mechanical device to mini-datacenters on wheels, driven by rapid advances in electronics. 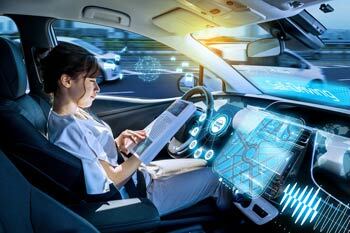 In this article, Tektronix' Sudipto Bose and Joern Hoepfner outline the trends driving automotive revolution. In its 130-year history, the automotive industry has never experienced a revolution such as is currently unfolding. Driven by electrification, automation, connectivity and mobility, manufacturers are having to re-evaluate hitherto unquestioned practices and technologies: Indeed, the very foundation of the car is mutating from a mechanical device to a mini-datacenter on wheels, driven by the rapid advances in electronics. However, motor cars have relied on electronic control systems a lot longer than most people realize: The first Electronic Fuel Injection system to go into series production was the Chrysler Electrojector fitted to a total of 35 vehicles in 1958. Interestingly, most of these early pioneers were field-retrofitted with 4-barrel carburetors, primarily because the early electronic systems were too slow to keep up with the demands of ‘on the fly’ fuel metering. Today sophisticated electronic engine management systems not only control fuel injection and ignition but are even capable of changing the operating cycle between Otto, Miller and Atkinson and have recently even enabled manufacturers to commercialize the very precise control of the Homogenous Charge Compression Ignition engine. However, the industry is facing a new challenge for electronic systems – one brought about by the steady roll out of electrification and Advanced Driver Assist Systems (ADAS) which are rapidly moving towards fully automated Level 5 operation. Level zero: The human has complete control over the vehicle including the steering, breaking, and throttle. Essentially the way driving has always been. Level one: Small elements of driving such as braking can be done automatically by the car. Level two: At least two functions are automated such as lane centering and cruise control. In this phase the driver can have their hands off the steering wheel and foot off the pedal, however they still must always be ready to take control. Level three: Although the driver is still present at this level, they aren’t required to monitor the environments around them as much as they would in previous levels. Level four: According to the Department of Transportation (DOT), vehicles at this level are "designed to perform all safety-critical driving functions and monitor roadway conditions for the entire trip." This operation is limited to specific areas (geofenced) and special circumstances, such as traffic jams or highway cruising. Outside of these areas or circumstances, the vehicle must be able to safely abort the trip, i.e. park the car, if the driver does not retake control. 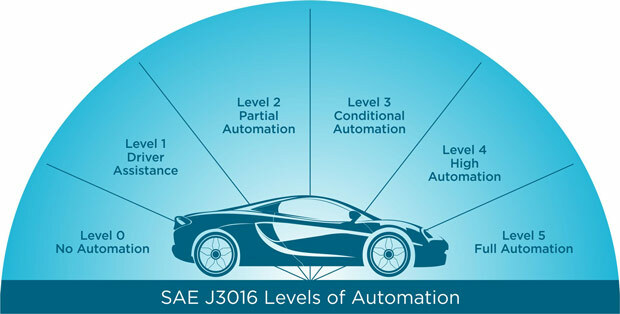 Level five: This stage simply means that the vehicle is fully autonomous and requires no steering wheel or general controls for a human to take control. According to Tektronix’s application engineering manager, Joern Hoepfner, "We have already commercialized Level 3 systems," referring to vehicles such as the 2018 Audi A8, "while L4 vehicles are rapidly clocking up test miles on public roads around the world," he continued. Dirk Schlesinger, Chief Technology Officer of TÜV SÜD, an international testing, inspection, auditing and certification service provider, has been quoted as saying that "the car of tomorrow would be a PC on wheels, but much more challenging". By way of example, the Ford GT runs on 100 million lines of code, compared to Windows 10 that has 27-50 million lines of executable code, increasing to 100 million lines when motherboard, graphics card and applications such as Office are included. And all this data needs to be communicated through a network, which since 1986 has been the Controller Area Network (CAN). Originally the CAN bus was designed to transmit control-traffic between ECUs within the vehicle at maximum bus speeds of about 1 Mbps with data packet payloads of up to 8 bytes. To keep up with the significant increase in data, CAN has undergone protocol modifications to become CAN FD (Flexible Data Rate) with the maximum bit rate increased to 15 Mbps, and the payload improved to about 64 bytes. At these rates CAN still cannot cope with imaging systems such as LIDAR and cameras. In addition, control units must transfer more data between ECUs, in order to coordinate among subsystems. This is forcing automotive network designers to re-evaluate not only speed, but also architecture. Initially targeting multimedia, the Media Oriented Systems Transport (MOST) consortium based in Karlsruhe, Germany, has created the MOST150 which is capable of transmitting 150 Mbps. This additional bandwidth also makes MOST150 ideally suited for driver-assistance technologies such as lane-departure warning, camera systems and adaptive cruise control. Another system not explicitly developed for automotive applications, is the Low Voltage Differential Signaling (LVDS). It offers a high speed signaling standard with a bandwidth of up to 655 Mbps that uses a twisted pair of copper cables. This high speed makes LVDS an attractive option for automotive camera manufacturers. More recently manufacturers have adapted Ethernet as an automotive solution which can deliver high-performance bandwidth coupled to a low-cost single unshielded "twisted pair cables". The technology is specifically engineered to meet the stringent in-vehicle requirements of the automotive industry and optimized for multiple in-car applications. The automotive-qualified technology is capable of delivering a high-performance bandwidth of 100Mbps. Most car designs include more than one of these bus standards, and more, depending on the specific subsystem. FlexRay has tight latency and time characteristics which make it ideal for ’drive-by-wire’ applications where deterministic performance is critical. SENT may be used for communications with sensors. And we can expect CAN and LIN to continue to serve in applications where proven reliability and proven reliability outweigh the need for speed. Many ECUs serve not only as controllers, but also as network gateways. 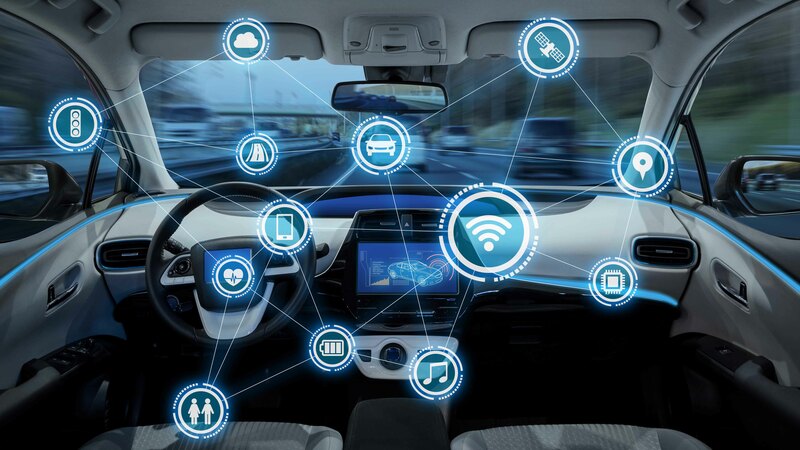 Because highly automated and connected cars will rely on more than one type of network architecture, designers are being challenged to test and troubleshoot multiple network technologies simultaneously. And while many of these technologies seem more at home in an IT data center, in the automobile they must function flawlessly over wide temperature and humidity ranges, endure shock and vibration, and maintain electromagnetic compatibility with other modules and the environment at large. The use of so many embedded devices and the need to communicate vital information throughout the vehicle have definitely increased the complexity of the test processes needed to debug and verify these designs. And as the data rate increases so too does the prospect of "glitches" which could compromise the system. With massive spark-generating ignition systems, the automotive industry is no stranger to electromagnetic compatibility issues. "The amount of wireless data traffic moving around the car is just going to grow exponentially," says Sudipto Bose, General Manager of Automotive Solutions at Tektronix. "Today we see wireless technology in infotainment and cellular, and then there’s V2V, or V2I which are mission-critical: Imagine you’re approaching an intersection, and your vehicle has the ability to talk to the intersection, or even to another vehicle," Bose continues. The sheer volume of electronics, and the critical nature of the data flowing through the vehicle, make electromagnetic compatibility more challenging and more important. According to Bose: "RF compatibility is a big concern, because if something creates interference, how do you mitigate the result of that? Does something stop working resulting in a catastrophic failure?" As a result, he believes there’s a huge testing need in this area, "and this isn’t just testing the electronics, this is at times putting the vehicle in a chamber," he concludes. Another challenge facing the rapidly evolving industry is that of mobility, where car-sharing and ride-haling play an ever increasing role in consumers’ choice of transportation. In this model, companies such as Uber, Lyft, China’s Didi and South East Asia’s NuTonomy will offer L4 and even L5 self-driving ‘taxi’ services to commuters. This shift to mobility opens the door for OEMs to become hardware suppliers to emerging on-demand service providers: An opportunity that Volvo latched onto when it became the first manufacturer to sign a deal with Uber for the supply of 24,000 XC90s equipped with the core autonomous driving technologies that the ride-hailing company needed to develop its own self-driving features. As a standard automated platform Volvo believes there is potential to supply these vehicles to other ride-hailing companies that would customize the generic systems to meet their own requirements. Accompanying this widespread customization is the risk that hardware/ software/ communication networks may not always be compatible – which would ultimately require the formulation of new standards and testing to ensure the integrity of the vehicle. And as the face of on-demand shared commuting, connectivity and automation changes transportation, electrical power management will play an increasingly important role in supporting the numerous onboard systems. These vehicles may employ dual voltage systems, such as in the 48/ 12-volt Mild Hybrid EVs currently being launched, or in High Voltage/ 12-volt systems seen in Hybrids. Understandably, much is being written on the electrification of traction systems. However, the electronics power distribution system often goes unsung. In this scenario, the 12V network will handle traditional loads: lighting, ignition, entertainment, audio systems, and electronic modules, while the higher voltage systems will support active chassis systems, air conditioning compressors, and regenerative braking and torque assist. And with manufacturers looking to improve performance, reduce costs and optimize packaging of the power electronics, developments around Gallium Nitride (GaN) and Silicon Carbide (SiC) power semiconductors have opened up new doors. For instance, in DC/ DC convertors, the higher switching speed enabled by these wide bandgap technologies reduces the size of inductors, transformers, capacitors and generally reduces weight and size. They achieve all of this while still accomplishing conversion efficiencies in the upper 90s. Once again these systems are more aligned with the computer tech industry than with legacy automotive manufacturers, and will therefore see a gradual roll out of new standards and test procedures to ensure their safety and functional performance. So while car advertisements in 2030 probably won't promote horsepower, more likely boasting about the computing power of processors with names such as Xeon, Snapdragon and Drive PX, there’s a lot of preparation work that still needs to take place. Not only in developing and refining the technology but also defining standards and ensuring systems are fully tested.